Thirty-four years ago, team owner Richard Childress installed a driver from Kannapolis, N.C.—Dale Earnhardt—as the full-time occupant of the No. 3 Chevrolet. Together, Earnhardt and Childress won six Monster Energy NASCAR Cup Series titles together and established one of motorsports’ most iconic brands. On Friday at Charlotte Motor Speedway, Childress announced that Kannapolis native Daniel Hemric will take over the driving duties in the No. 31 Richard Childress Racing Chevrolet. Hemric succeeds Ryan Newman, who will part with the organization at the end of the year and drive for Roush Fenway Racing in 2019. A contender for the NASCAR Xfinity Series championship this year in the No. 21 RCR Chevrolet, Hemric has yet to win in the series, but that hasn’t muted the confidence of his boss. Hemric is doing double duty at the Charlotte Road Course this weekend, including a second Cup start in the No. 8 RCR car. Childress sees similarities between the blue-collar approach to racing that Hemric shares with the late Earnhardt. 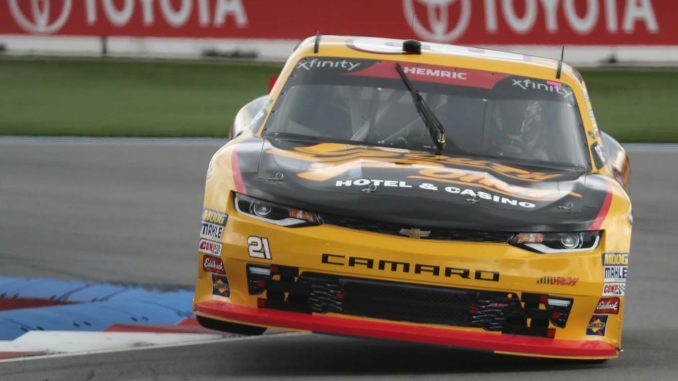 Currently second in the NASCAR Xfinity standings to Christopher Bell, Hemric seemed overwhelmed by the opportunity. As a young, aspiring racer, Hemric lived less than five miles from Dale Earnhardt Inc.
“It’s very special to be able to see what the pinnacle of the sport was,” Hemric said. “And to be that close to my house, and to be able just to see his face. He came from the same home town and grew an empire to what it was.